AT&T is taking the DirecTV satellite service it acquired two years ago to the web with a new streaming service. Consumers can subscribe to various levels of DirecTV Now, which launches Wednesday, to stream 60 to 120-plus channels, starting at $35 monthly (you can get a free 7-day trial at directvnow.com). The live TV streaming service will be delivered via the Net to smartphones and tablets, as well as connected TV devices such as Apple TV and Amazon Fire TV. To access DirecTV Now, you will need to use your home broadband or mobile wireless service. Those who use AT&T Wireless will not have video use count against their data limits. AT&T expects DirecTV Now to appeal to the growing market of consumers shaving their pay-TV services or eschewing them all together, says John Stankey, CEO of AT&T's entertainment group. 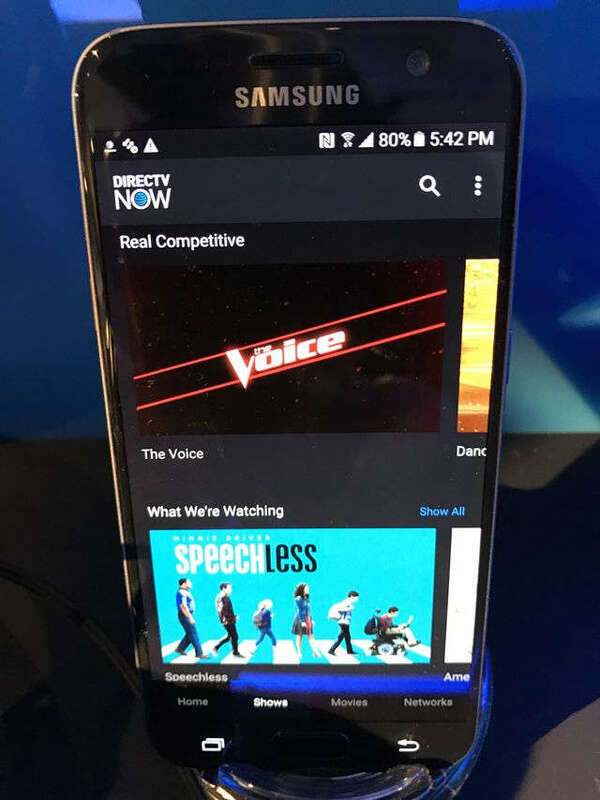 DirecTV Now allows the telecommunications giant to "address a new audience," he said. Rather than require consumers to sign long-term contracts and buy or rent pay-TV boxes, DirecTV Now is like subscribing to an app, Stankey says. And AT&T Wireless subscribers can stream DirecTV Now without counting towards their data limit. That and the multiple price entry points "puts us in a very unique position from a cost structure in the market," Stankey said. The idea of not being locked into a long-term pay-TV contract of two years or so will be compelling, said Avi Greengart, research director for consumer platforms and devices at Current Analysis. "This is targeted at someone who is looking for more flexibility. It's easy on, easy off and it offers a pretty compelling value." He expected consumers to be interested in an introductory offer that lets you get the 100-plus channel package for $35 monthly as long as you keep the service. And those who pay for three months in advance get a free Apple TV. "Today is Cyber Monday and that's the best deal on Apple TV that I have seen," Greengart said. After the initial promotional period, consumers can get a 60-plus channel package with channels such as CNN, ESPN, Disney Channel, TBS, TNT, FX, Fox Business News and Turner Classic Movies for $35. The next higher level ($50) includes 80-plus channels, adding ESPNews, ESPNU, NBC Sports and MLB Network and others to the mix. For 100-plus channels (adding BBC World News, Golf Channel, NBA TV, NHL and MTV Classic) subscribers pay $60 monthly and, for $70 monthly, 120-plus channels including eight Starz Encore channels and Univision Deportes. Subscribers can add HBO and Cinemax for $5 each monthly. In some markets, subscribers will get live ABC, NBC and Fox stations. AT&T is in talks with CBS to add its channels and Showtime to the service, Stankey said. DVR functionality will come to the service next year, he said. The new service will be available initially on Amazon Fire TV devices, Apple TV, Android and iOS smartphone and devices, desktop computers, Vizio SmartCast displays and coming to Roku in three to four weeks. Also announced: new channels from Taylor Swift and Reese Witherspoon. The Taylor Swift Now channel -- launching soon on the new streaming service, the DirecTV satellite TV service and AT&T's UVerse fiberoptic pay-TV service -- will include original content created by the multi-platinum artist, and will air portions of her upcoming Feb. 4 concert in Houston on Super Bowl eve at a later date. Hello Sunshine, a channel from Witherspoon and Otter Media, a content company formed in 2014 by AT&T and The Chernin Group, will be available next year on DirecTV Now and DirecTV. 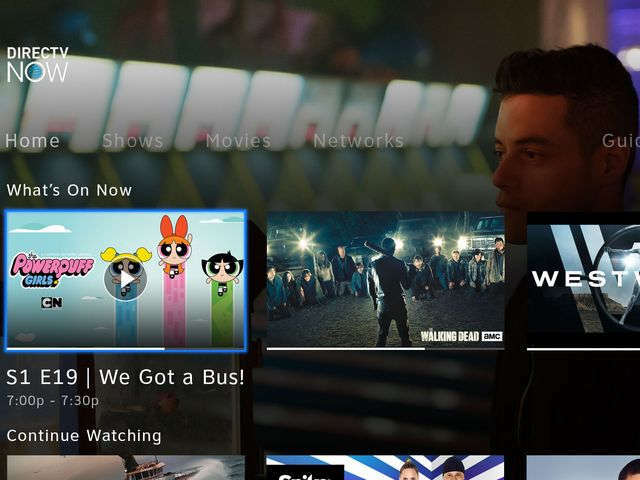 AT&T joins several other players bringing live linear streaming channels to the web TV market including competing satellite TV service Dish Network and its Sling TV service, launched in February 2015, and Sony's PlayStation Vue, which debuted a month later. The industry is evolving because traditional pay-TV providers are seeing their customer base slowly dissipate. Pay-TV companies lost about 755,000 subscribers over the past year, compared to a loss of about 445,000 the previous year, according to Leichtman Research Group. Overall, about 82% of U.S. homes with TVs subscribe to pay TV, down from 87% in 2011,, the research firm says. 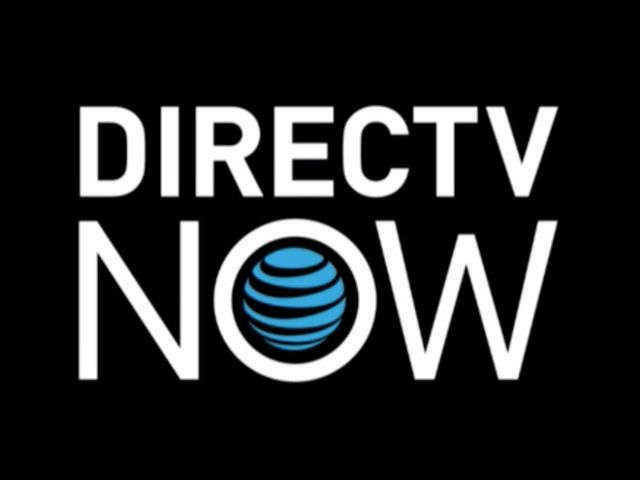 With DirecTV Now, AT&T "is fundamentally changing the economics of pay-TV from the provider perspective," said Joel Espelien, senior analyst of research firm The Diffusion Group. The service will appeal to customers looking for "lower cost, higher value 'discount store' type models in payTV," he said. "The impact of this will not be limited to DirecTV Now customers, but will likely spread across the industry, resulting in multiple offerings in this same general category."